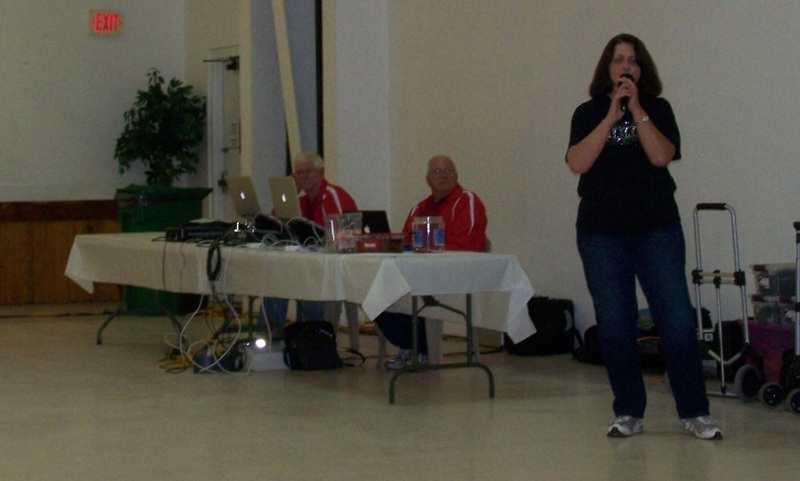 The Country Rhythm Cloggers workshop was held January 27 & 28, 2012 this past weekend in LaBelle, Florida. In the picture is Pat Bedingfield. She is the director of the workshop and the Country Rhythm Cloggers and put on a terrific workshop. In the background is Bob and Harold who handled all the music for the workshop and they always do a great job. Fran and I drove down to LaBelle Friday night and Erin came down Saturday morning. We clogged and learned a lot of very good routines and had a great time there. To watch the videos from the workshop just click on the link below.